What is happening in Trinity Churchyard? 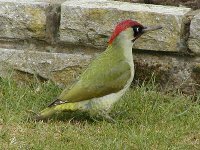 The churchyard is first and foremost a place of remembrance (and we are delighted when people come to tend the graves of family and friends), but the churchyard is also managed with wildlife in mind. Some areas of the grass are allowed to grow longer than other, providing varying habitats with a consequent increase in the variety of wild flowers and therefore insects, birds and animals that feed on them. We have more than 200 species of plants in the churchyard including a rich crop of summer wild flowers. For this reason the churchyard has earned a mention and photograph in an important reference book ('The Flora of Oxfordshire' by Killick, Perry & Woodell, 1998), and has been honoured with a number of awards by the Berkshire, Buckinghamshire and Oxfordshire Wildlife Trust and by the Diocese of Oxford for its contribution to wildlife conservation. To protect it as an area for wildlife it is vital to avoid the use of weedkillers or pesticides. A feature of Trinity churchyard is that it supports many species of grassland butterfly and moth. In 1998 we saw the highest number recorded for any churchyard in the Berks, Bucks and Oxon region. More than two dozen species of birds can be seen. Many nest in and around the churchyard - many more are occasional visitors. There are also frogs and toads in abundance, grasshoppers and crickets, hedgehogs, beetles, spiders and even the occasional grass snake. A local family of muntjac deer frequently visit. Trinity churchyard has also been described as "an exceptionally rich habitat for fungi" The latter range from Giant puffballs to tiny coral-like growths. The churchyard has the only Oxfordshire record of two species of mushroom. Be warned though - most species are poisonous if eaten and can cause sweating, vomiting and other symptoms too grisly to dwell upon! The conservation area also boasts a wide variety of lichen on the grave stones and walls. The management plan is revised from time to time and there is usually a copy on the churchyard notice board in the church. If you would like to know more about churchyard management, contact Reverend Duncan Carter at the Vicarage. (Tel: 01491 574822). The churchyard congregation manage this churchyard - some two acres - on behalf of the townspeople and offers to help or contributions to the upkeep are always most welcome.